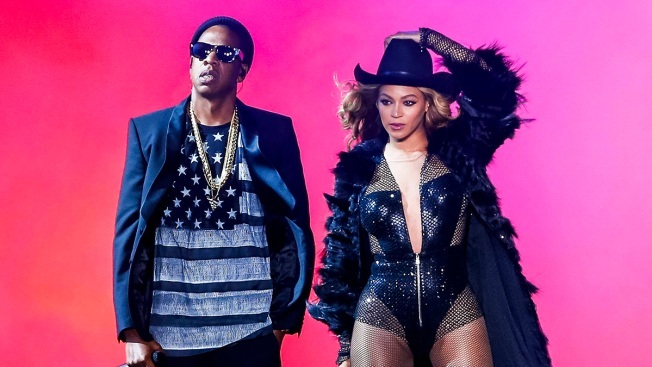 Beyonce and Jay-Z are on the Chicago leg of the On The Run tour, scheduled for Thursday night at Soldier Field. The internet is buzzing Wednesday about Jay-Z and Beyonce sightings in Chicago. Hip hop's royal couple is in the city for a concert at Soldier Field Thursday night. A publicist for Chicago Cut Steakhouse confirmed that the married couple dined at the restaurant from 5-7 p.m., along with baby daughter Blue Ivy and a pack of bodyguards. The group requested a booth instead of a private dining room, and ordered tuna tartare, sliders, steak and salmon and shared everything family-style, washing it all down with a couple glasses of rosé. The couple was reported to be "super nice and appreciative," and even though they came in the front entrance, they left through the back as a crowd started to build. 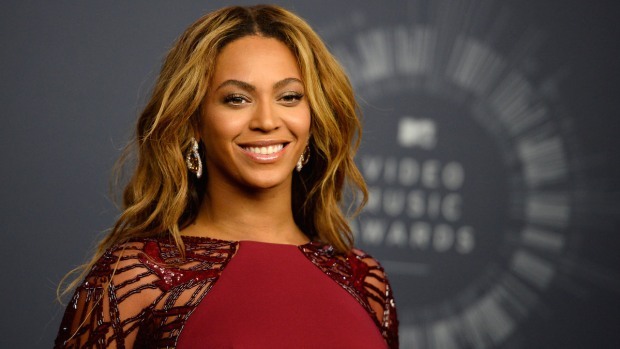 According to several posts on Twitter, Beyonce also made a stop at Topshop on Michigan Avenue. Meanwhile, another famous face may be in town for Thursday's concert. Oprah Winfrey was spotted entering Streeterville's The Local Chicago restaurant at about 7:30 p.m. Wednesday. In 2011, during Jay-Z's "Watch the Throne" tour stop in Chicago, the couple ate at the former Great Lakes Pizza in Andersonville. Beyoncé was at Top Shop in Chicago. I'm going to throw up everywhere!!! She could've helped me pick out my outfit for her show. Nobody cares about Beyoncé being in Chicago tho ? ?